You have reached our timeshare testimonials page. If you are currently buying or selling a timeshare ownership the comments on this page with help and assist you. Read on to see what our clients are saying about our company and how they explain the experience they have had when using our international timeshare resale services. These comments and views are from our clients and we hope you find them useful when deciding to sell timeshare, buy timeshare or rent timeshare ownership. "We dealt with Mark Bell and we were really satisfied with the efficiency and professionalism shown whilst completing the transaction. The follow up was outstanding. The feedback along the way timely. The whole process was strange to us as we started, given that it was our first time going through it - Mark did not hesitate to always update us, shown extreme patience and consistently lived up to his words. We strongly recommend his services and we would not hesitate to use them again at any time in the future. Thank you Mark." "A very professional service was given by Confused About Timeshare, with sensible advice enabling a quick and efficient transfer of my ownership. Thanks Allan!" "Excellent service, kept well informed about the sale process; very efficient and friendly people which is very reassuring when you have not met people in person. We recommend "Confused About Timeshare""
"Thank you for the help with the purchase at Holiday Club Saimaa. We are looking forward to our first vacation. " "When we decided to sell our timeshare we were very concerned about finding an honest and reputable company. We all know that the Timeshare industry has a very bad reputation and there are many dubious fly by night companies out there just waiting to take our money and make a quick buck. Let me reassure everybody reading this that Confused About Timeshare is not one of these companies. They are a highly professional company that dealt with our sale in an efficient and timely manner. Don't misunderstand me, selling a timeshare takes time and Confused About Timeshare do not have a magic wand, somethings are beyond their control, but they kept us informed every step of the way and we would highly recommend them to anybody wishing to sell a Timeshare. We dealt with Andrew, he told us up front what the process was and what he could and could not do. He was honest and everything he told us happened in the way he said it would. Again 100% satisfied with the service provided." "We wanted to sell our Marriott Phuket platinum weeks and came across Confused About Timeshare resale company. We placed the ownership for sale which seemed like a simple process and then 12 weeks later we were called with an offer which we accepted. Confused About Timeshare administration team dealt with the entire transfer of ownership and kept us up to date throughout the process. I am delighted with the service we were provided with and can honestly say the girls and boys at Confused About Timeshare know what they are doing and how to treat their customers." "Having been almost scared off from purchasing a timeshare following our dealings with other similar companies on the market (disgusting service and attitudes, broken promises and a sense of being ripped off!) We are genuinely so glad we came across Mark and his team at Confused About Timeshare! A very knowledgeable team who did what they said they would, kept up fully informed throughout and they made the process a perfect undertaking. Thanks to them, our disabled daughter will have a holiday home for life! We would have no hesitation in recommending Mark and the company to anyone selling timeshare. A job well done! Thanks from us Mark!" "We are pleased to show further Confused About Timeshare reviews here "
"Resort: Royal Savoy, Madeira: We received a 5 star service from Confused About Timeshare. It was prompt, courteous and all our questions were answered. This was in striking contrast with other timeshare companies of which I was also making enquiries. I would recommend them highly." "Resort: Sold My Marriott Marbella Apt: Three Bedroom Week: 1 x Gold Holiday "Clear communication, easy to get hold of and smooth process. I am very pleased with the way the sale was handled from start to finish. " "Timeshare Resort: Pueblo Evita, Spain Apartment: Two Bedroom Type: Floating Week We are extremely satisfied with the way that Confused About Timeshare carried out the transaction on our behalf. Thank you one again. " "Timeshare Resort: Island Residence Club, Malta, Apartment: Lock Off / Silver Floating Season Week. Andrew has been very helpful and always called me back when asked, always kept me up to date with everything concerning the sale." "I cannot recommend Confused About Timeshare highly enough. After unsuccessfully advertising via the resort for 7 years. Andrew at Confused About Timeshare negotiated a sale for us within 16 weeks! Throughout the process Confused About Timeshare and Andrew in particular kept us fully informed. Confused About Timeshare make things happen. Sale of Glenmor ownership." 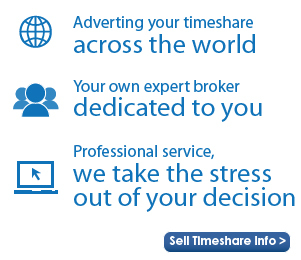 Get in contact with us today to buy, sell or rent a timeshare.